If you like beer, the first drink of a cold pint on a hot summer day is one of life’s great pleasures. 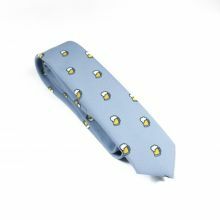 But this incredible necktie in sky blue with a print of frothy pints will be the centre of attention at your next party. 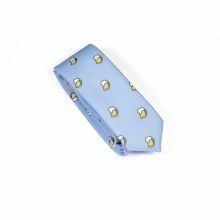 The Beer Necktie was designed by Colton Foster for the Foodie line and was created with our 100% polyester Burlington fabric and a 5 cm blade to give it a casual look.